Being a long time fan of Real Techniques and being a daily 'contour-er' as myself, you can imagine my excitement for this release of the Real Techniques Sculpting Brush Set. 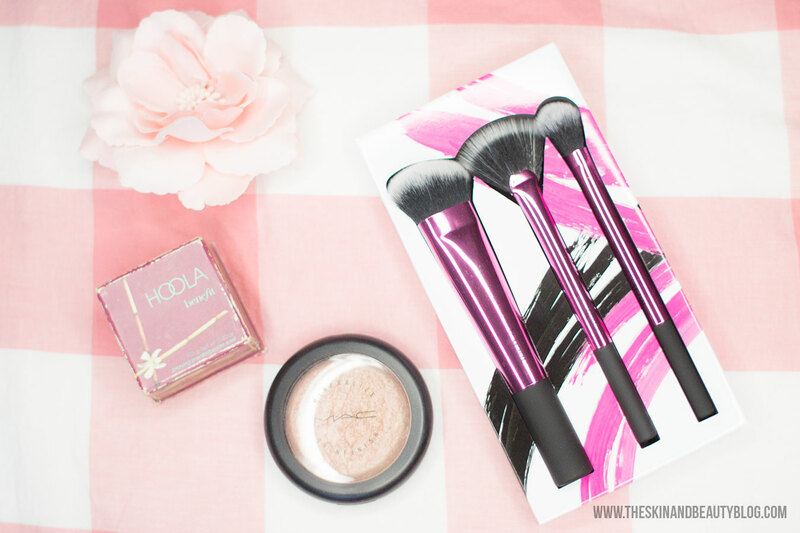 This set contains three brushes meant for contour and highlighting. 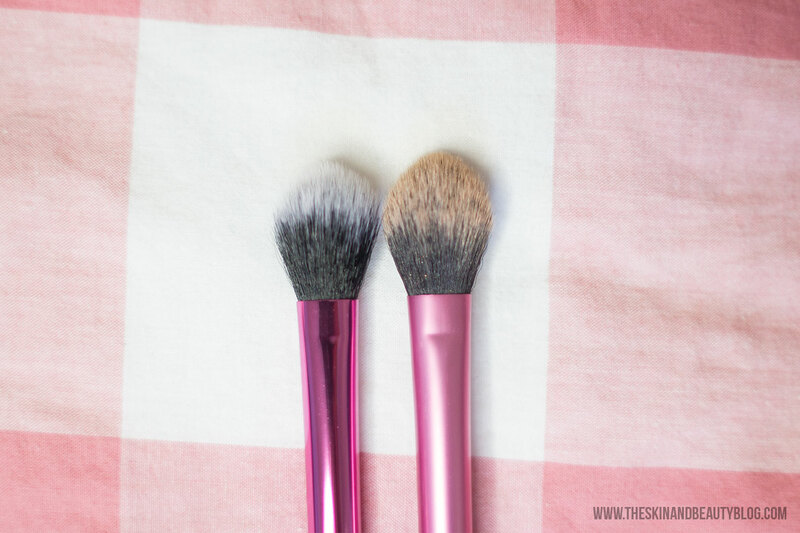 Like all Real Techniques Brushes these have cruelty-free synthetic fibres. All the bristles are high quality, super soft but firm with that duo-fibre brush look. Let's go through the individual brushes shall we? 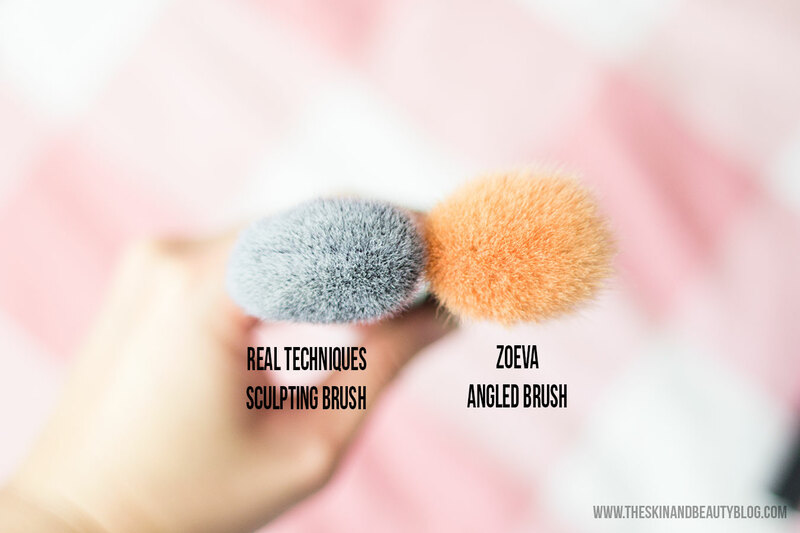 I've compared it to the Zoeva 127 Luxe Sheer Cheek Brush above. The Real Techniques Sculpting Brush is a lot more dense in fibres and softer too. As opposed to providing 'sheer' coverage, the sculpting brush provides a good amount of colour. 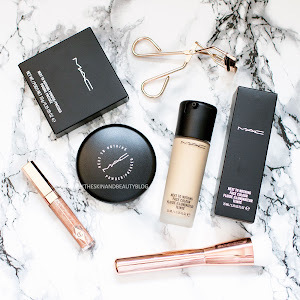 For contour use, I suggest using a light hand and build product as required! Real Techniques Fan Brush. Oh how I've waited for a fan brush that I like. 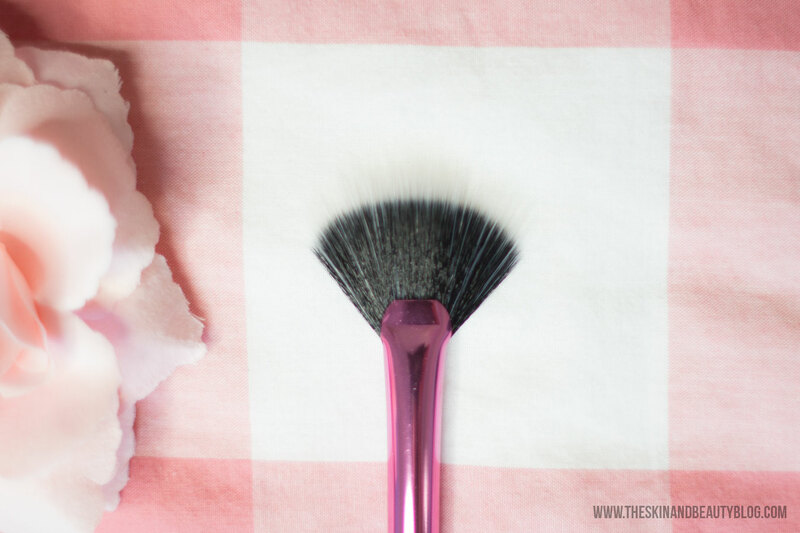 This brush is for applying a light dusting of highlight powder high on the cheekbones. 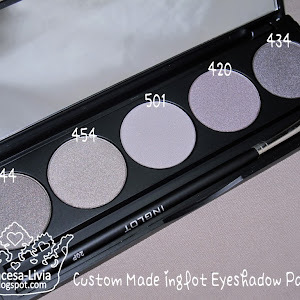 It is good with well-pigmented highlight shades eg. NARS Albatross Blush. 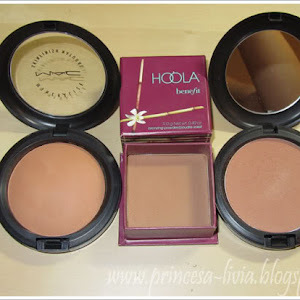 It can also be used to apply a light dusting of pigmented blusher on the cheeks. It is quite thin so don't expect too much coverage with this one. Real Techniques Setting Brush. If you want to apply your highlighter with a lot more pigment use the Real Techniques Setting Brush. 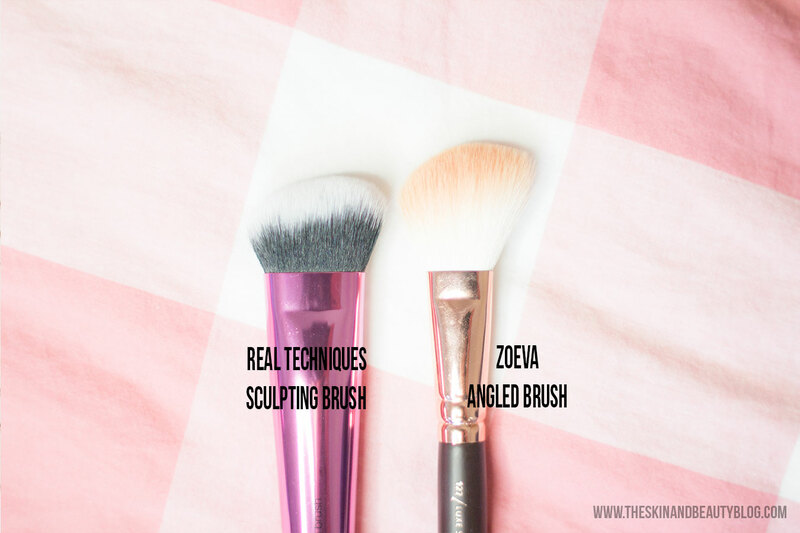 I have compared the brush from this set with the one I have acquired separately and I find that somehow the bristles of the one in the sculpting set are less dense and provide a sheerer coverage. 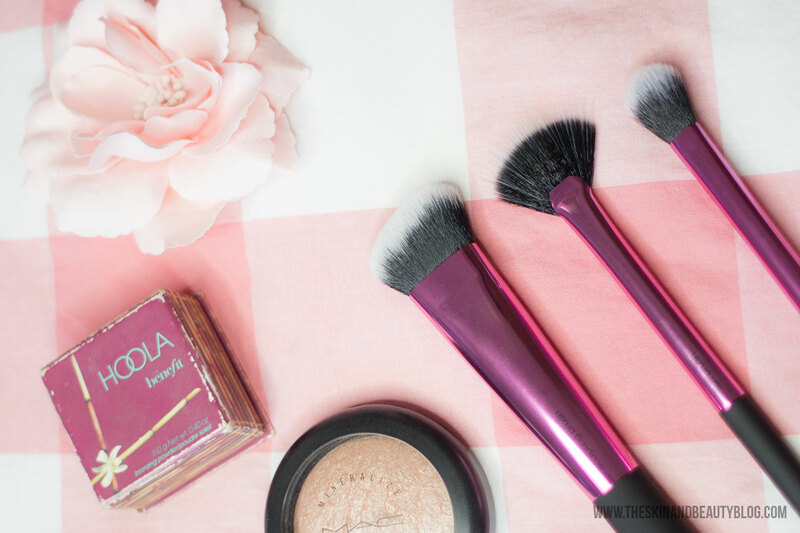 Nevertheless it applies more pigment than the fan brush and remains firm in my daily contour routine. I'm really excited about this contouring set from Real Techniques. 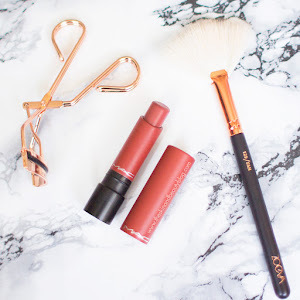 The Real Techniques Collectors Edition Sculpting Set is available online and in Superdrug Stores from £20.99 - which is quite a good deal for high quality brushes. 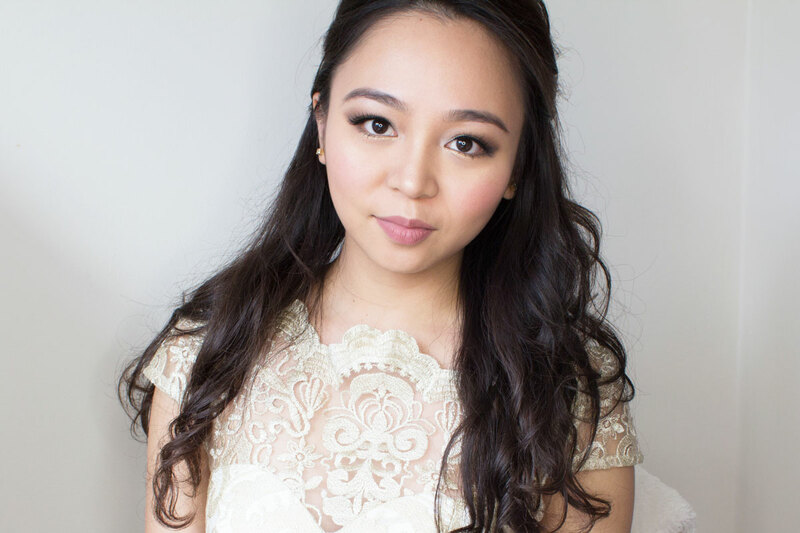 My fiance and I planned to get married in June, but as we wanted to do our church wedding abroad, our civil ceremony had to come first. This happened just over a week ago. There was so much excitement as my family flew in from all over the world. They arrived the day before and on the day itself so as you can tell we were pretty busy! We did not have much left in our budget as most of it has been spent in preparations for the 'real thing' in June. We got married at our local town hall. Shannon did my hair and I did my own makeup. I drew inspiration from the stunning tutorial by Sona Gasparian which featured the gorgeous Teni Panosian. Check out the link here. 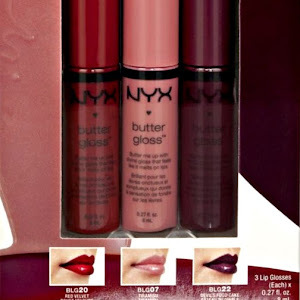 I did not have all the products she mentioned, although I substituted them with makeup I already had. One of our pre-nuptial shots featuring the London Eye! 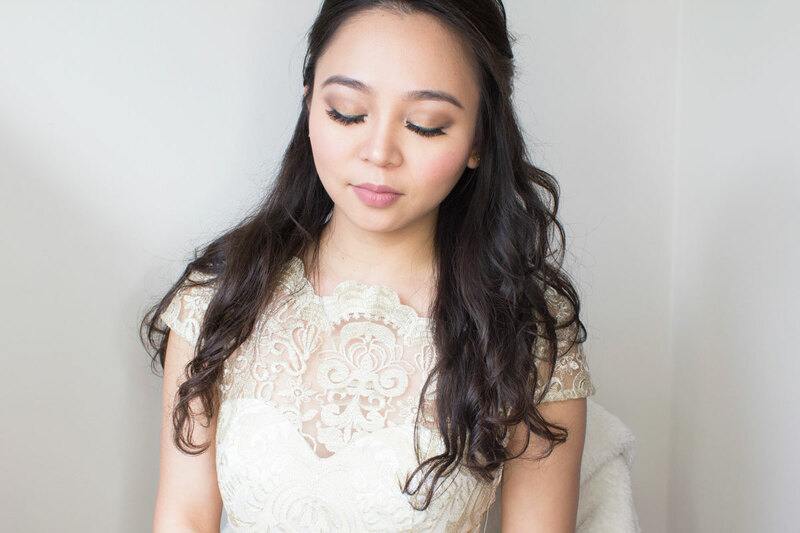 Did you do your own makeup at your wedding? 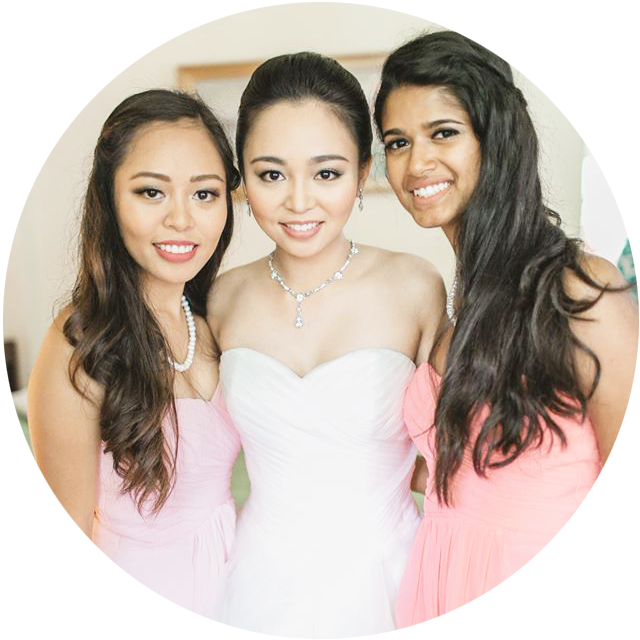 What are the pros and cons of doing your own makeup vs hiring a makeup artist? Links to more information and to purchase the products used in this look in the product list above! 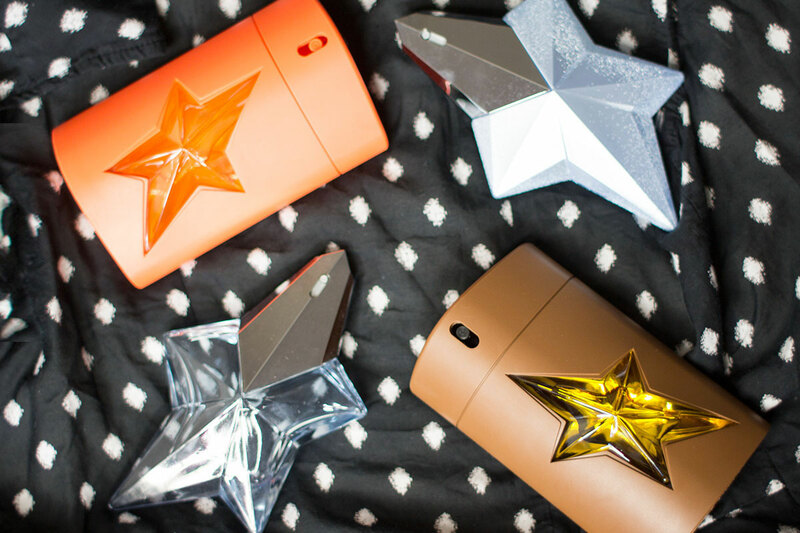 I am a big fan of Thierry Mugler fragrances, especially the starry oriental ones. They all have that deep musky scent with variations of sweetness thrown in that's as yummy as it is mature for a fragrance. Here's a little collection I have made over the years and I would like to share them with you. 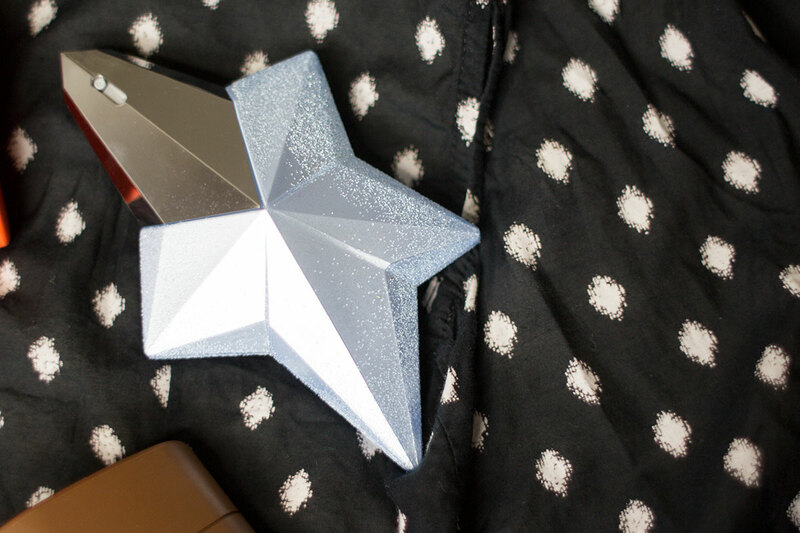 Starting off with one of the most iconic popular womens fragrances of all time - Thierry Mugler Angel. Check this out in store and you will remember having smelled it before, perhaps on a co-worker, a friend or on a random person you meet in the commute. 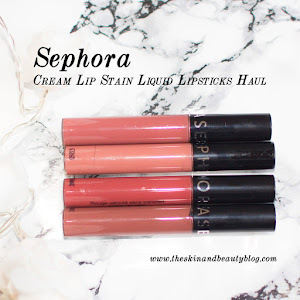 It plays differently on various skintones, on me it smells of sweet vanilla with musk. I would wear this more often as I love it to bits but I am always wary about meeting other people wearing the same fragrance as it is so popular. 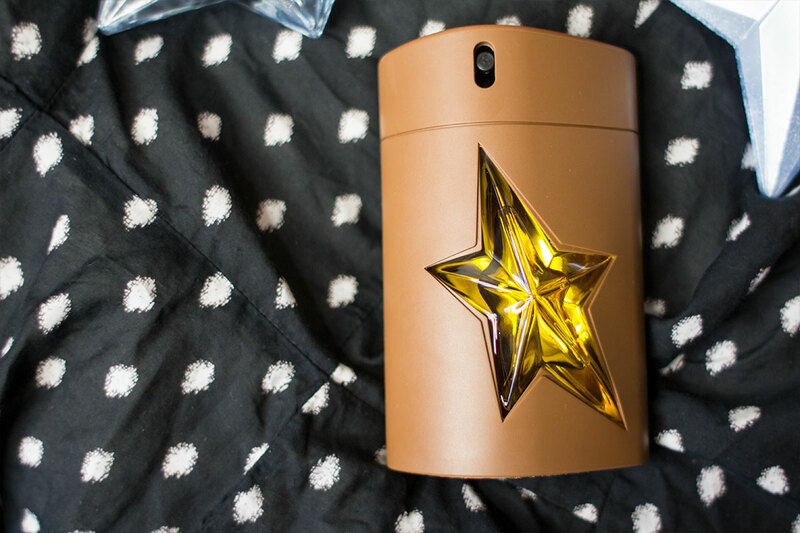 Thierry Mugler Angel Eau Sucree is the original Angel's younger sister. It is a little more fruity, gourmand and more sugary sweet that it takes some planning before wearing. I would not wear this to work but perhaps on a dinner date with my other half or on a day out with the ladies. I am not averse to wearing men's fragrances, I actually encourage it. There are a lot of sweeter more feminine or unisex mens fragrances out there and chances of meeting another woman wearing said fragrance is low. Thierry Mugler A*Men Pure Havane is a beautiful musky fragrance with very very subtle hints of tobacco. (To compare it to a familiar fragrance, it smells a little bit of cola!) It's a gorgeous scent on men and for women too. 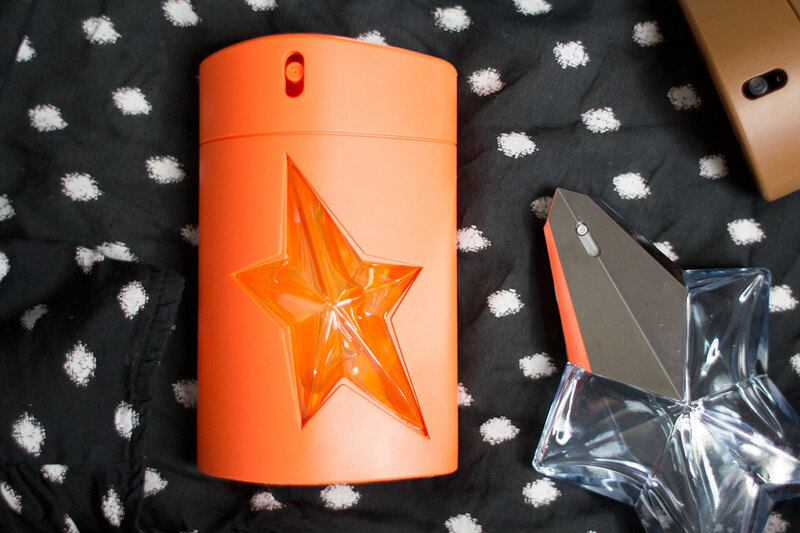 Lastly enter Thierry Mugler A*Men Ultra Zest. My summer scent for 2015. It is an addictive vanilla with orange notes thrown in. The musk keeps it from being too sickly sweet as what I find in most orange fragrances. The orange doesn't seem to last very long although the musky vanilla base lingers. 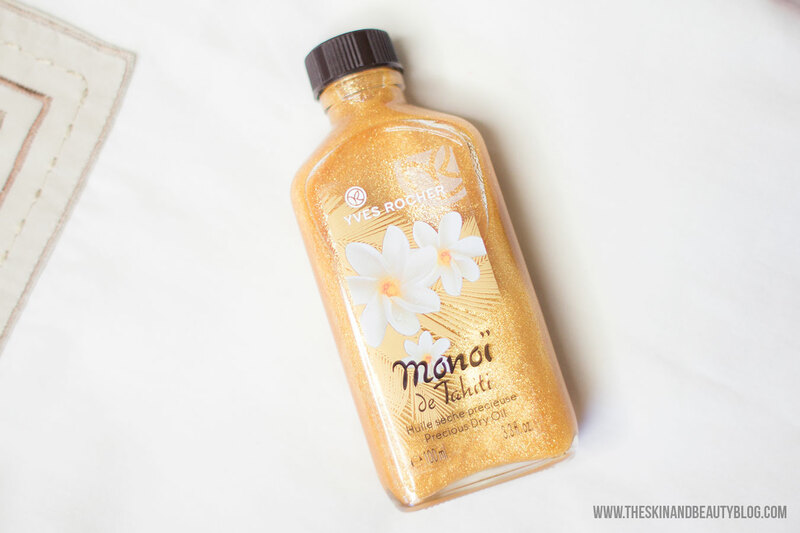 I would actually bathe in this fragrance if I could, its utterly gorgeous! 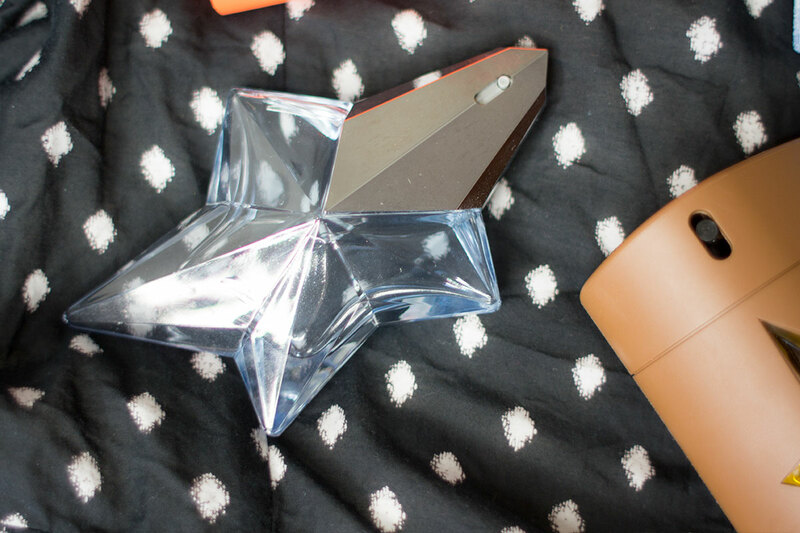 So that's a quick spritz through my favourite fragrances from Thierry Mugler. 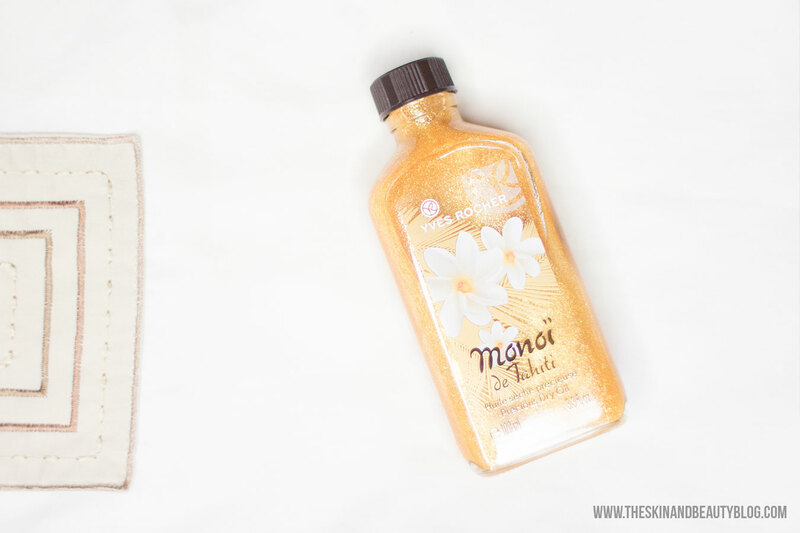 Only now writing this post I realise and equally can't believe how much cheaper the mens fragrances are per ml! Have you tried any of these before? And what are your thoughts on a woman wearing fragrances for men? France's no. 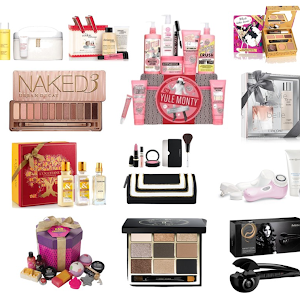 1 selling beauty brand Yves Rocher have launched new makeup products to create the perfect smokey eye. 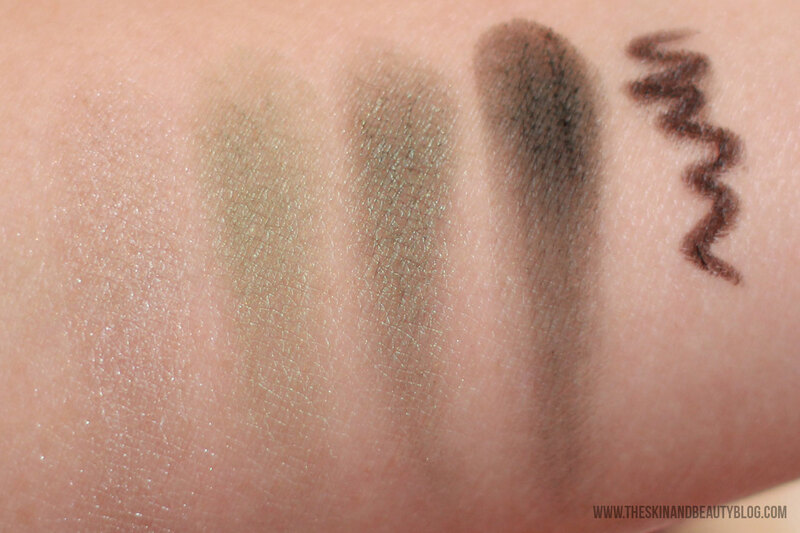 They have 6 eyeshadow quads including Deep Grey, Red Hot Brown and what I have here, Brilliant Green. 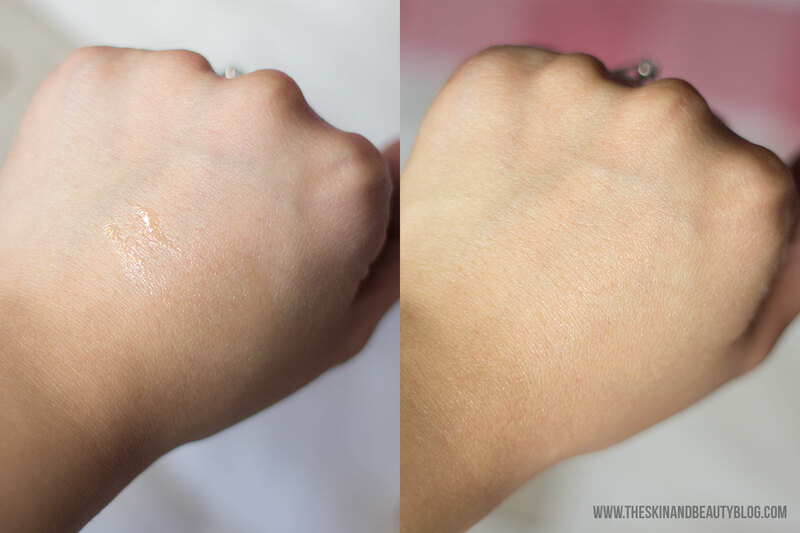 The new Fixing Eye Primer creates a smooth and flawless base with Camellia Oil. 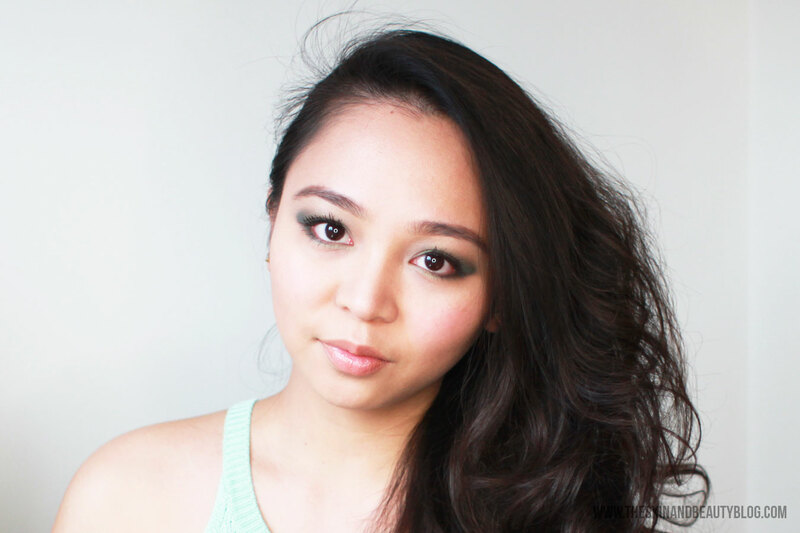 The black Kajal Liner is so rich in pigment to easily create that smoked out look. 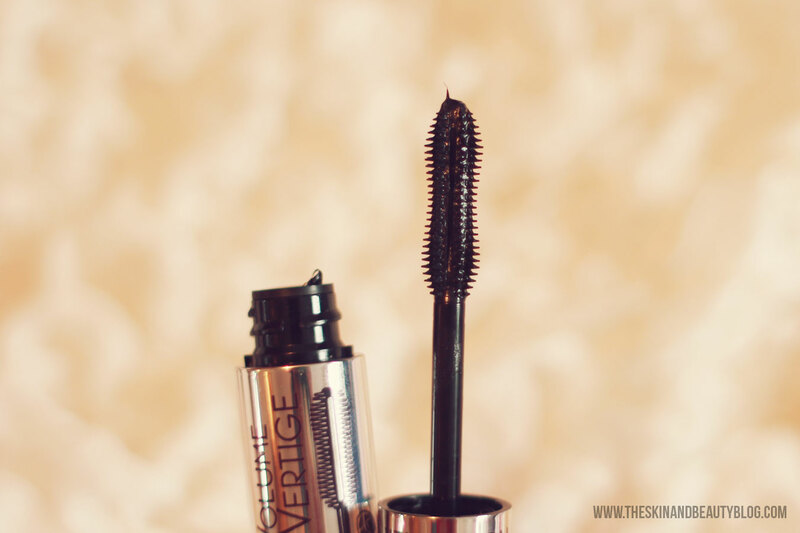 The Volume Vertige Mascara has a patented Reservoir Brush that allows easy application of mascara. 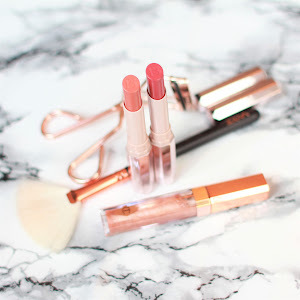 I've used all three products in this makeup look and individual reviews to follow below. 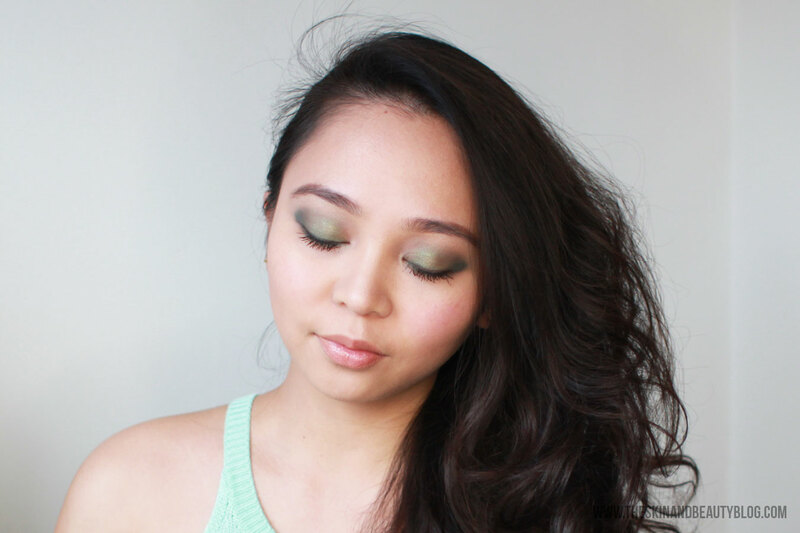 Starting off with the Yves Rocher Eyeshadow Quad in Brilliant Green, this beautiful quad of emerald green shades has all the greens you need. They all have soft velvety textures. It has a pale silver shade with sparkles and hints of green, two shimmery shades - an emerald green and a darker more shimmery moss green, and a matte seaweed green which I am in love with. 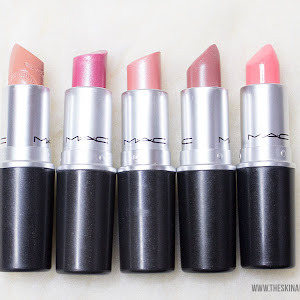 It has a fabulous feel and pigmentation a lot like the matte2 finishes from MAC. 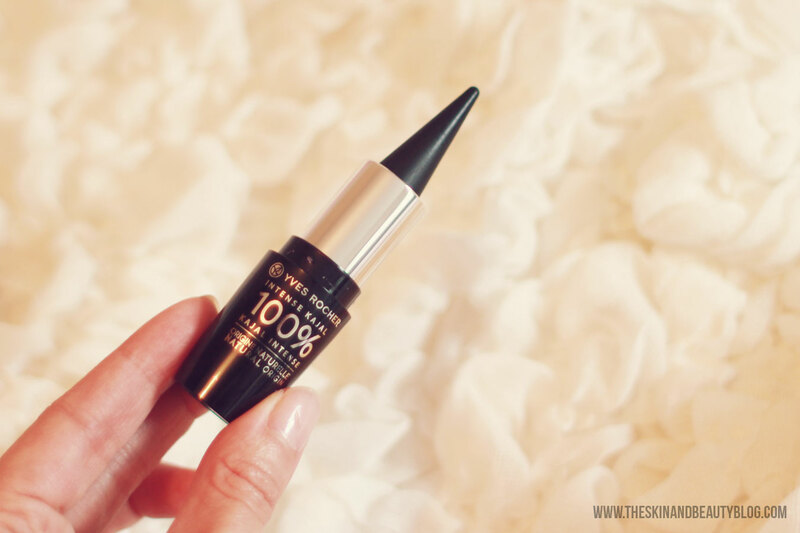 Next up is the Yves Rocher Intense Kajal 100% in Black. This is my first experience of kajal pencils and I'm surprised at how easy it is to use. 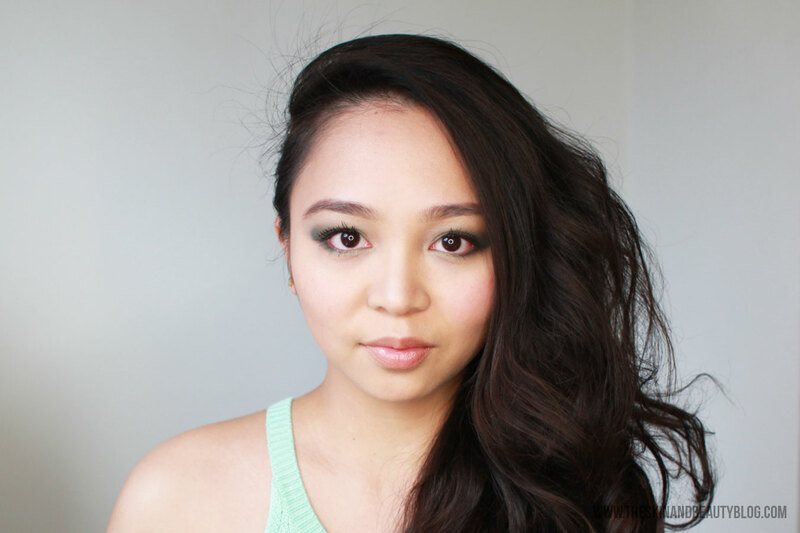 The point is surprisingly soft and deposits an easy buildable grey-black pigment. It feels glides nicely on the waterline too. Downside is that it smudges easily and requires setting with eyeshadow on top to make it last longer. I would avoid using this on the lower lashline as you wouldn't want it migrating down south. 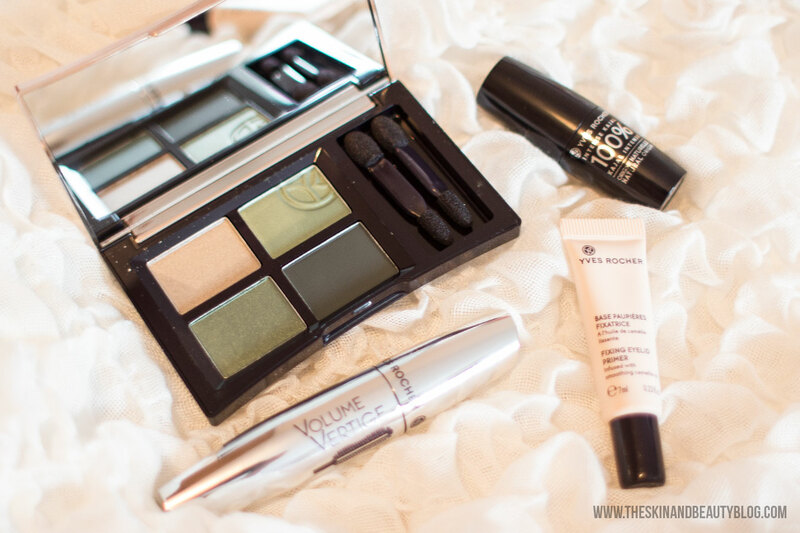 Lastly is the Yves Rocher Volume Vertige Mascara. This mascara lengthens, volumises and separates the lashes providing a shiny finish. It holds a curl pretty well. It doesn't smudge and lasts pretty long. This does not volumise as much as my current favourite Bourjois, but it clumps less and provides natural looking lashes for daily use.